We have recently just finished this project in Sunderland for a community centre. 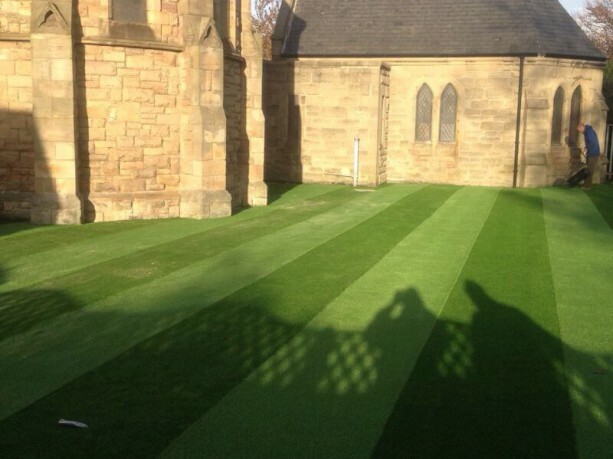 The project was to install a beautiful artificial lawn, using LazyLawns Wonder Yarn 26mm. The appearance of stripes in the large area of grass looks absolutely stunning. Giving an overall finish of a natural looking lawn. 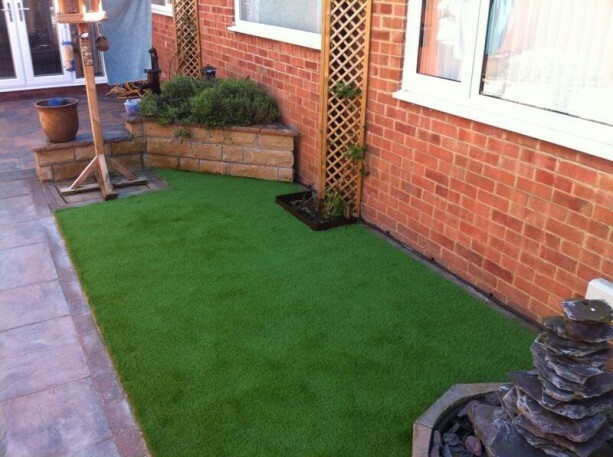 By installing the artificial lawn instead of natural turf. The community centre now has a low maintenance, good looking lawn all year around. Just in time for the winter months ahead. No more muddy footprints trailing into the community centre, just another happy customer. 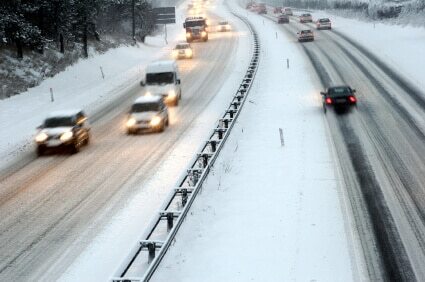 Professional road gritting services and snow clearance in the North East. As we can see the weather is already changing. When temperatures drop to freezing or the snow starts to fall. 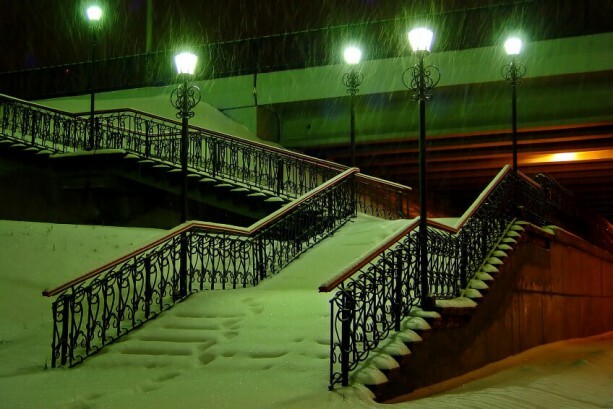 Snow and ice can cause major disruption to many roads and paths. This can lead to potential injury's and financial losses with staff being absent from work etc. Ian Howe Landscaping's aim is to help North East businesses keep moving. This is the time to look at grounds maintenance companies for your snow clearance and gritting services. Once the bad weather hits all companies will be in a lot of demand, if the past is anything to go by. Ian Howe landscaping pride ourselves on have a comprehensive fleet of road gritters and snow clearance vehicles. We can provide a solution to suit most businesses large or small. We pride ourselves on having a great and most comprehensive fleet of vehicles and equipment in the North East. Ian Howe Landscaping are a reputable family firm and we take Health & Safety issues very seriously. Therefore we adhere rigorously to all applicable regulations. Find out more information on our Health & Safety page. Why not join us on Facebook or Follow us on Twitter to keep up with our latest news? This is the body copy. I suggest we use this area to explain the project just a little more. Not too much though as the link will go direct to the actual project. We have installed 1,000's of metres of decking on commercial projects throughout the UK. This is the body copy. I suggest we use this area to explain the gear we use and then have it link to the Services page or something?